The must-have checklist any buyer should not be without. Your human capital management (HCM) solution helps you better manage your people and payroll. It is a vital part of any HR department, so choosing poorly can become extremely costly to both you and your company. You can’t afford to spend time selecting a solution only to find that it lacks the functionality you really need. 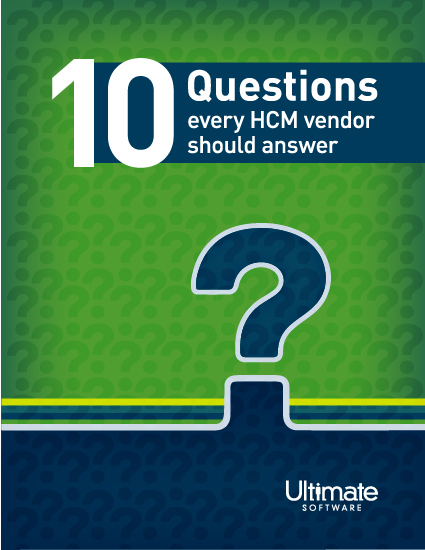 Access the top 10 questions you should ask before selecting an HR & payroll solution. Use these must-ask questions as a checklist in your research. The answers will guide you to pick the best solution for the greatest value, effectiveness, and long-term use. Please fill out this brief form to access your must-have checklist.